With November’s HumberSFF now a happy memory, there’s lots on the horizon to make sure that 2019 will be a busy one. While not all of it involves writing, it’s still going to be a fun year for me. To start, I’m delivering a Writing Day School at the East Riding Theatre, Beverley. As Beverley’s my hometown I’m looking forward to this. East Riding Theatre is a cosy former Baptist Church and home to top-class talent in the sell-out plays performed there. 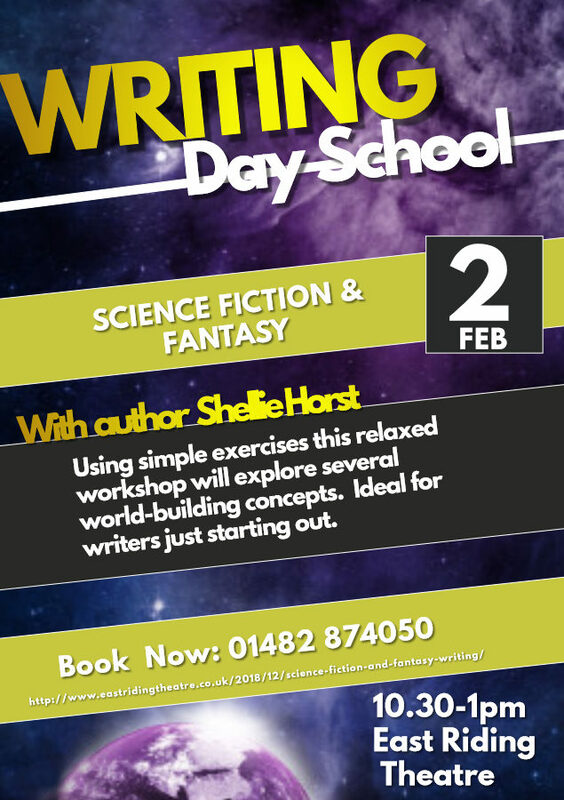 The Day School on February 2nd will focus on developing your story’s world. You may already have something you want to expand. Or maybe you are put off by the scale of world building your novel needs. Perhaps you aren’t sure where to start at all? Don’t worry there will plenty to get you thinking. With writing exercises to inspire the imagination, time for questions, and take-home prompts to keep you writing. Hopefully, it will spark your next story too. If one of your 2019 resolutions is to write more or start writing SFF genre this is the perfect opportunity.